Happy Cat Month -- and we don't just mean happy "Cat Month" -- is an entire month that's dedicated to Animal Clinic Of Council Bluffs making sure your feline friend is happy in Council Bluffs and Glenwood, IA. It was spearheaded by the CATalyst Council in 2015 and is now celebrated every year. Happy Cat Month is a month-long event with each week dedicated to a specific element of your pet's happiness. This month is the perfect time to schedule an appointment with your veterinarian to ensure that your cat is healthy. Preventable and treatable health conditions can lower your cat's happiness level. Enrichment is something that's easy to forget but crucial to your pet's happiness. Ensure that your cat has plenty of opportunities to use his or her brain and body. Enrichment can take the form of running wheels, climbing towers, toys, scratching posts, and foraging/puzzling treat containers. Your cat may be unenriched -- and lacking in happiness -- if he plays with things that aren't toys and meows frequently. Enrichment can curb bad behaviors by providing your pet with healthy outlets for his energy. In turn, you'll both feel less stressed! 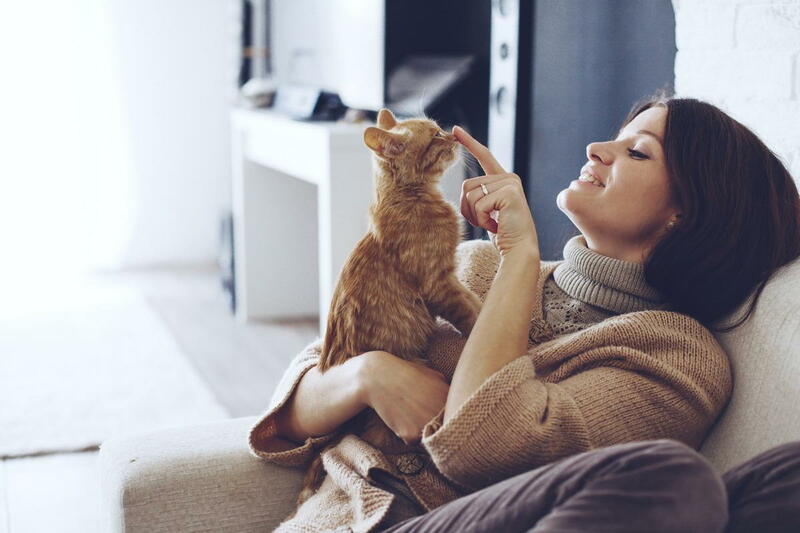 If you have multiple cats, the third week of Happy Cat Month focuses on creating an environment that is the happiest and healthiest for the multiple cats in your home. This can include separate food and water dishes, multiple litter boxes, and space for each of your cats to unwind. During the last week of Happy Cat Month, it's important that you spend quality time with your cat to ensure she knows how valuable she is. Cuddling, petting, brushing or simply remaining near your cat on a cozy day inside. This is also a great time to play with toys that require you to move them for your cat to chase them! Schedule An Appointment Today with Animal Clinic Of Council Bluffs in Council Bluffs and Glenwood, IA! If you're concerned about your cat's happiness, call (712) 323-0598 or (712) 527-9454 for Glenwood to make an appointment at Animal Clinic Of Council Bluffs and Glenwood, IA.